What Is a Professional Home Energy Audit? Heating and cooling can be expensive. 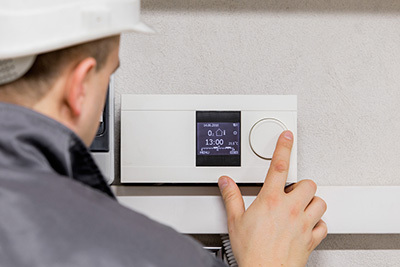 After you’ve completed an HVAC program and are working as a technician, you might receive questions from customers about how to lower their energy costs. One recommendation is having a home energy audit. There are a few areas that the inspector will look at when making an assessment. One, is checking for leaks in doors, windows, fixtures and outlets. Inspectors will also look at wall insulation, note the number and type of registers and the type and setting of thermostats. These are just some of the areas inspectors will look at in the home. Parts of your home that are in particular need of auditing are attics – insulation, leaking from HVAC ducts and chimneys are inspected along with wiring to detect safety issues. Health and Safety Inspection: During this assessment, the auditor checks for the presence of lead-based paint and indoor air contaminants. Smoke and carbon monoxide detectors are noted and tested. As part of the inspection, the auditor assesses the safety of the home’s electrical system by searching for any electrical hazards in the lighting fixtures, wiring, and appliances. Combustion appliances like the furnace are inspected for fuel or carbon monoxide leaks. Home Exterior Inspection: The auditor measures the outside of the house, the wall area, and the size of the windows. He or she also counts the number of windows and looks for excess condensation on them. Since air ducts and insulation are tested and recommendations are made for repairs or upgrades during home energy audits, HVAC plays a role in helping homes becoming more energy efficient. Understanding what a home energy audit is could prove useful while working in the field. It’s always good to gain more knowledge in your field as technology and other advances can change the way you service your customers. Much of the information for this article comes from energy.gov.